Cane Bay Partners VI Co-Founders Kirk Chewning and David Johnson congratulate the 20 St. Croix residents who competed in St. John’s infamous 8 Tuff Miles Race. Cane Bay Partners VI Co-Founders Kirk Chewning and David Johnson on Monday congratulated the approximately 20 St. Croix residents who competed in St. John’s infamous 8 Tuff Miles race from Cruz Bay to Coral Bay on Saturday, Feb. 27. Team Cane Bay VI included two St. Croix runners, Julie Sommer and Robin Seila. This was Julie’s fourth time in the race, placing in the top three in her age group each time. Julie placed female sixth overall and third in her age group. 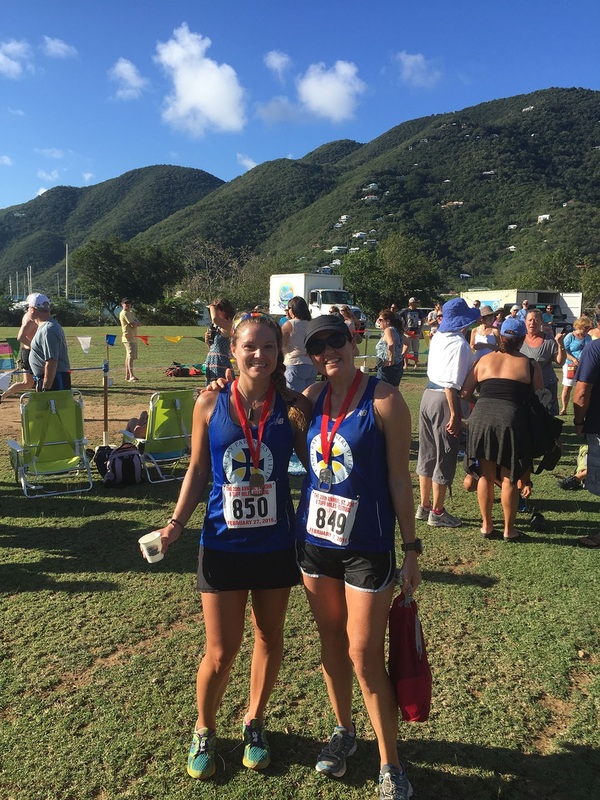 Julie and Robin were among about 20 runners from St. Croix, out of 1,155 finishers overall. Julie finished in 1:09:12 and Robin finished as the 21st out of 636 female finishers with a time of 1:15:03. The top runner overall was Edward Mulder of New York, and the top female runner was Michelle Paxton of Nebraska. Other top Virgin Islands runners included Delene Jewett, of St. John, coming in third and Katrina Crumpler, of the British Virgin Islands, coming in fourth overall on the female side; and Evan Jones, of St. John, coming in fifth and Evan Quirk-Garvan, of St. John, coming in seventh on the male side. "Though this is an absolutely crushing run, the energy and excitement along the course is incredible. The volunteers in this event go above and beyond, with themed aid stations and such enthusiastic support that you can't help but smile while you're running up these beastly hills. I have not met a single person who didn't finish this race saying they would definitely be back for it again," Team Cane Bay VI runner Julie Sommer said. 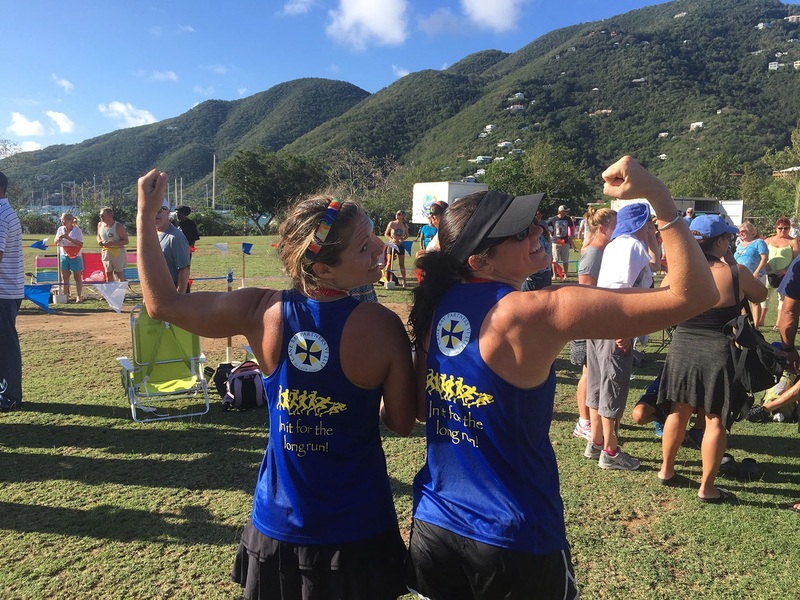 "We are thankful for the support of Cane Bay Partners, and are so happy to be able to represent St. Croix in a race on one of our sister islands." The 20th annual 8 Tuff Miles on St. John consisted of a hilly 8.375 mile trek from Cruz Bay to Coral Bay via Centerline Road. “St. Croix has amazing athletes, including those on Team Cane Bay VI, and events such as the 8 Tuff Miles race show that they can compete with the best in the region and the world! Congrats to everyone who participated,” Cane Bay Partners Co-Founder David Johnson said. Cane Bay Partners is committed to supporting enriching sporting activities. The company also supports participants of the Scenic 50, the Captain Morgan Ironman 70.3, the Roseway World Ocean School, the Golden Hook Fishing Club, the Virgin Islands Bowling Federation, St. Croix Dolphins, the St. Croix Foundation VIPD Golf Tournament, the Special Olympics, the Police Athletic League, Frederiksted Community Boating and others. Photos: Team Cane Bay VI runners Julie Sommer and Robin Seila show off their Team Cane Bay VI shirts after the race Saturday. Team Cane Bay VI runners Julie Sommer and Robin Seila show off their Team Cane Bay VI shirts after the race Saturday.Team Cane Bay VI runners Julie Sommer and Robin Seila show off their Team Cane Bay VI shirts after the race Saturday. Team Cane Bay VI runners Julie Sommer and Robin Seila show off their Team Cane Bay VI shirts after the race Saturday.Team Cane Bay VI runners Julie Sommer and Robin Seila show off their Team Cane Bay VI shirts after the race Saturday.